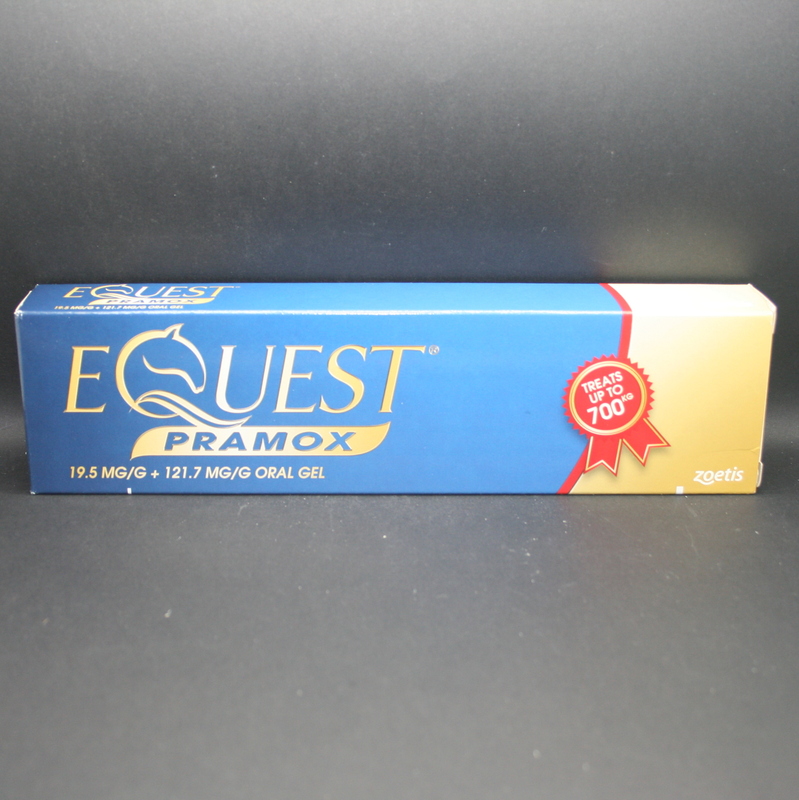 Equest Pramox Oral Gel is a wormer that contains Moxidectin & Praziquantel. 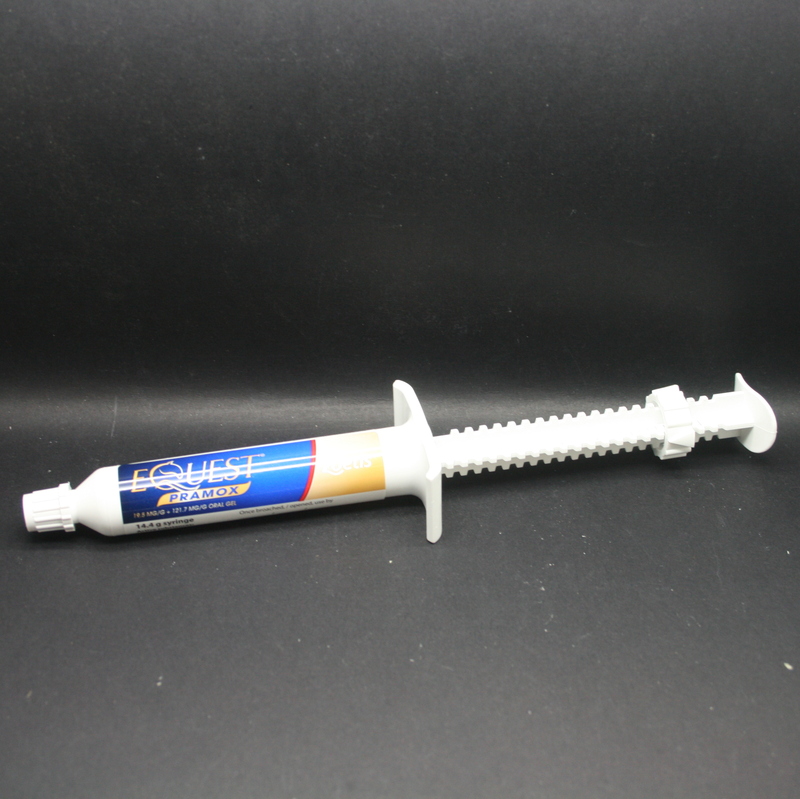 One syringe contains enough gel to treat a 700kg horse. 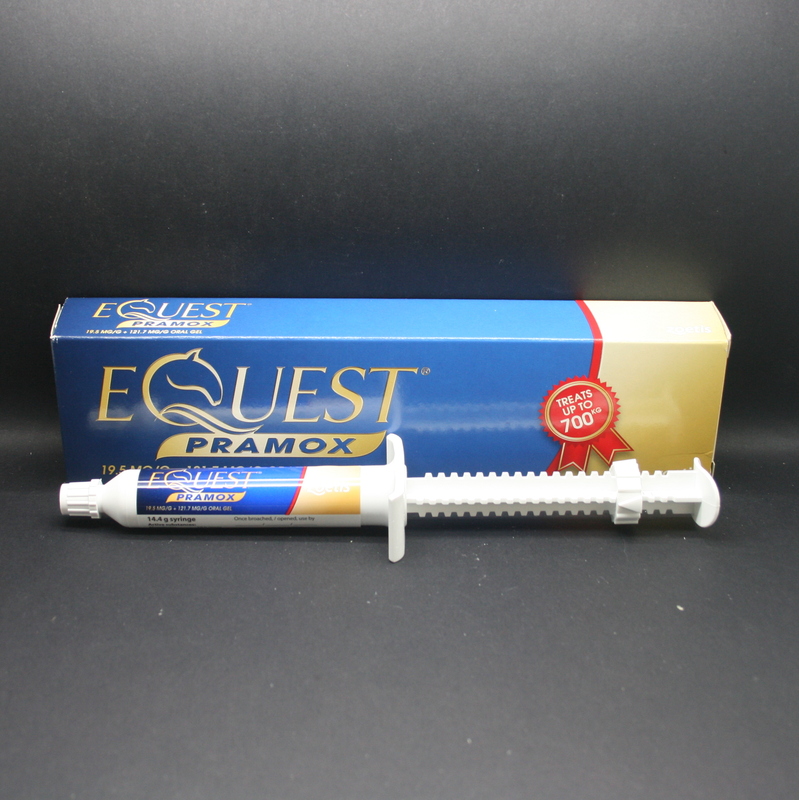 It is effective against tapeworm; small strongyles (including larvae encysted in the gut wall); large stronglyes; ascarids (roundworm); lungworm; stomach bots, pinworms; intestinal threadworms; adult hairworms; large-mouth stomach worms & neck threadworms. The recommended dosing interval for small stongyles is 13 weeks. Pregnancy & Lactation- Safe to use during pregnancy & lactation. Do not give to foals less than 6.5 months old.